"I watched every game in the laundry room in the dressing room," Heatley said of the playoffs. "We watched the first period of the first one at home. It was great energy in there, but it [stunk] not to be out there. So obviously [I] watched it intently and thought, even with a couple of breaks, we had a shot in that series. So I think a lot of guys learned a lot of things. "I thought we were right there with them. The key is just to get back into the playoffs again this year and from there it’s anybody's game." A healthy Heatley, 32, will certainly help Minnesota's chances in the new Central Division, which now features the Blackhawks, Colorado Avalanche, Dallas Stars, Nashville Predators, St. Louis Blues and Winnipeg Jets. Heatley has scored 40 goals or more four times in his career and has reached the 50-goal plateau twice. If he can regain his scoring touch, the Wild's chances of returning to the postseason will increase dramatically. "I'm excited about his season," Wild coach Mike Yeo told NHL.com. "Last season was a tough season for everybody. This guy’s been a warrior for us. He’s played a lot of games and he’s played a lot of games hurt. He had surgery in the offseason. Talking to him, I know that he’s extremely motivated. "I know that he's going to come in looking to prove himself. One thing with Dany is he’s a guy with size, he's a guy with skill and he's a guy that has high hockey sense and gets himself in positions where he can score goals. Certainly, he's a huge, key piece to our team." The No. 2 selection in the 2000 NHL Draft, Heatley arrived at training camp 15-20 pounds lighter as he aims for a bounce-back season on Minnesota's second line and top power-play unit. He's confident that skating alongside up-and-coming players such as Charlie Coyle, Mikael Granlund and Nino Niederreiter will help him produce offensively. 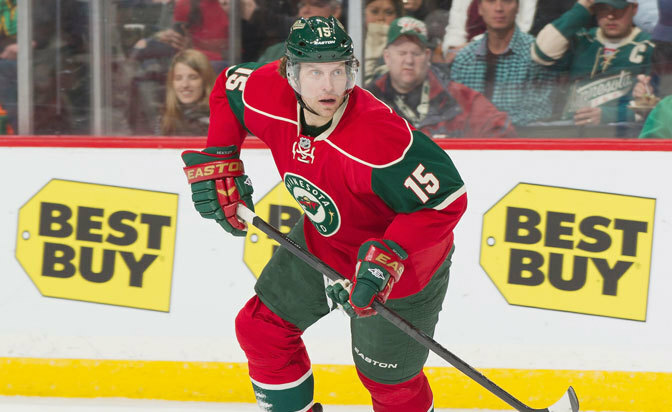 "My role is always going to be offensive, being able to score goals," Heatley said. "I'd like to be able to put myself in better position to score goals. I look at our forwards, and we have a lot of talent and a lot of skill. I think we have more depth than last year, depending on which of our young guys stick around. But I'm excited. We’re solid on the back end and we've got a lot of great players up front." More important than anything else, Heatley is healthy. Obviously, that could go in a long way in determining just how much he can help the Wild succeed this season. "I think it kind of gave me a head start, if you will, in training," Heatley said of undergoing surgery. "Having my time off the last months of the year and having to take care of the shoulder this summer, I was in the gym a lot more. I feel pretty fresh coming into this camp." After 11 goals in 36 games last season and 24 in 82 games in 2011-12, Heatley believes he's capable of a lot more this time around. But how many goals is he aiming for? "I do have ideas, personally," Heatley said. "A lot more than I had the last two years, let's put it that way."